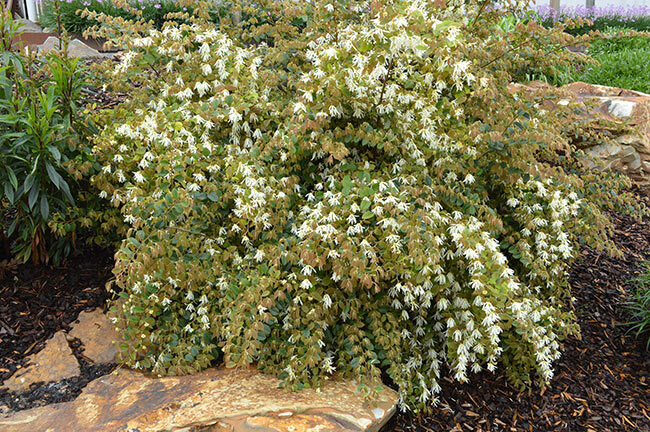 • Olive green foliage year round highlighted by coppery coloured growth tips. 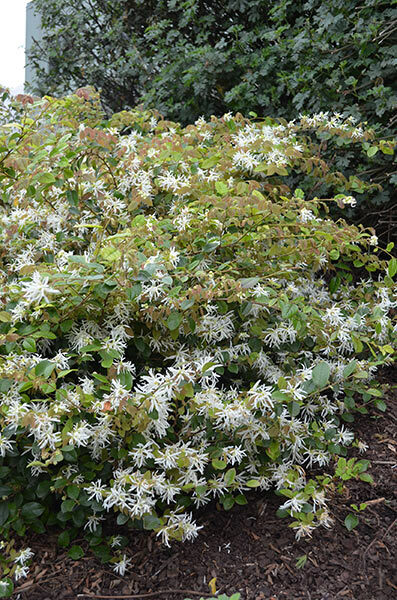 • Showy display of crisp white, tasseled flowers during spring and autumn. • Maintains a naturally dense, domed habit. 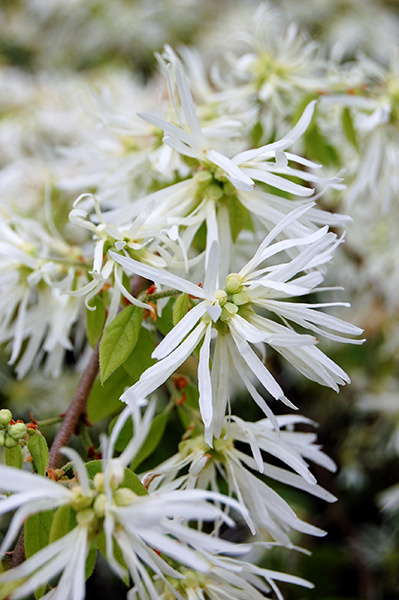 • Vigorous growth and hardy for most situations. • Easy to grow with minimal maintenance. Grows well in most soils which are well draining. Once established do not allow to dry out over extended periods of heat. No pruning generally required other than shaping to style. Apply a slow release fertiliser after flowering for best results. 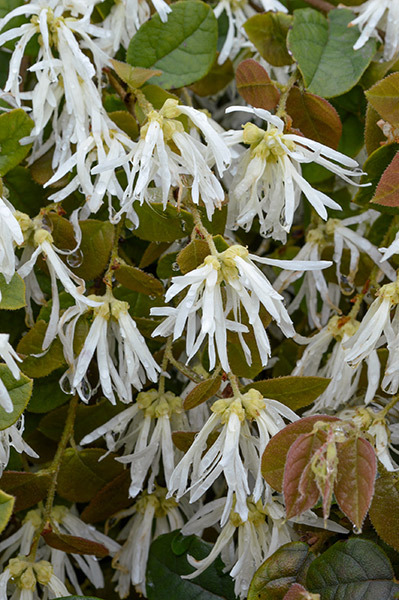 • Stunning feature specimen in landscapes providing both structure and colour year round. • Long season of interest for entertainment areas. 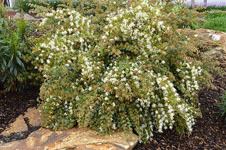 • Informal hedging or mass planting larger areas. • Contemporary or cottage style gardens.